Replacing a pipe in your sewer system might sound like a major headache, but it can be fairly simple. As long as you recognize there’s a problem early on and take action right away, you can mitigate a considerable amount of damage. Here are just a few warning signs that the pipes need to be replaced. If your main line was recently cleaned or rooted out, it’s wise to schedule an inspection of the entire sewer system. Whenever the main line is due for maintenance, it’s reasonable to assume other parts of the system need to be repaired or replaced, too. Municipalities typically conduct periodic video inspections of their sewer systems to ensure everything is in good working order. 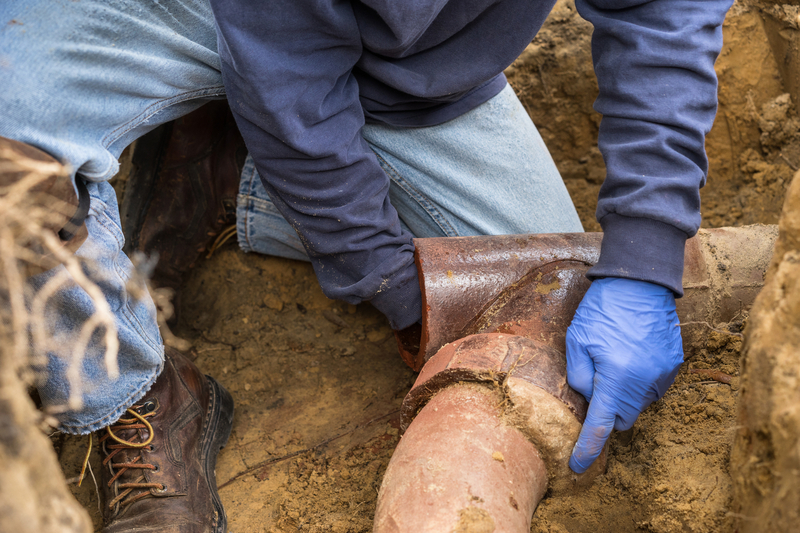 If a particular line has been impacted by snaking roots, they will alert the property owner and propose the necessary repairs. Pipes put up with a lot of abuse, and it’s natural for them to break down over time. If your system is at least 50 years old, it has undoubtedly sustained a considerable amount of wear and tear. Since the joints are likely compromised, making it easier for roots to intrude, it may be necessary to replace them. Even if your sewer system is less than 50 years old, it may have been constructed of asbestos cement, Orangeburg, or clay. These materials can become brittle over time, and they are not meant to last for decades. In other words, if your pipes are made of any of them, they will need to be replaced sooner rather than later. If the sinks or toilets keep clogging, it could be a sign that there are roots in the drain line. While the occasional clog is normal, it’s wise to call a professional for persistent or recurring plumbing issues to diagnose the problem and devise a solution. For quality plumbing services in Hennepin County, MN, turn to Benjamin Franklin Plumbing. Located in Minneapolis and New Hope, they have more than 44 years of experience in the field. Serving both residential and commercial clients, their friendly and knowledgeable technicians—who all undergo background checks and drug tests—are always on time, and they leave every job site better than they found it. If you turn to them for help repairing a sewer line, you can expect to pay a lot less than you would by relying on a city program. You may also be eligible for financing. To discuss your sewer system with a plumber on their team, call (612) 217-7759 or reach out on their website.